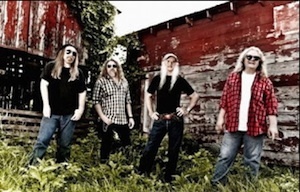 The Kentucky HeadHunters will be inducted into the Kentucky Music Hall of Fame. They will join fellow inductees Steven Curtis Chapman, Exile, Skeeter Davis, Old Joe Clark, The Hilltoppers and Emory and Linda Martin. The ceremony is scheduled for Friday, April 12 at the Lexington Center Bluegrass Ballroom in Lexington, Ky. More information is available by calling 877-356-3263 or 606-256-1000 or by visiting kentuckymusicmuseum.com. The museum is located in Renfro Valley, Ky, home of the Father of Bluegrass Bill Monroe, Merle Travis, The Everly Brothers, Loretta Lynn, Rosemary Clooney, Dwight Yoakam and many more. 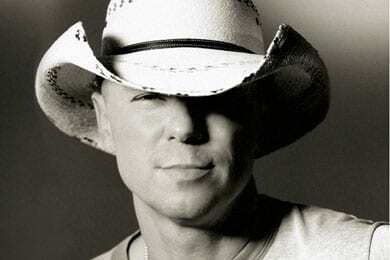 Kenny Chesney will perform at New York City’s Highline Ballroom for an exclusive, invitation-only concert for SiriusXM listeners on Wednesday, May 1. The “Early Kick Off to Summer” concert, which will be broadcast on Saturday, May 4 at 8 p.m. ET on The Highway, channel 59. Chesney will perform several of his hits, as well as songs from the largely self-penned Life On A Rock, which also features guest appearances from Willie Nelson and the Wailers Band and is scheduled to be released on April 30. 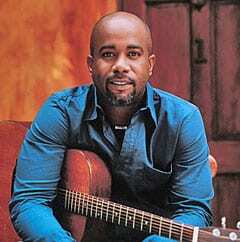 Darius Rucker will host the fourth annual “Darius and Friends” benefit concert in Nashville, Tenn. on Monday, June 3 at the Wildhorse Saloon with proceeds from the night going directly to St. Jude Children’s Research Hospital. A special offer code will be shared with St. Jude and Rucker’s Facebook and Twitter followers for ticket pre-sale beginning today, Wednesday, April 3 at 11 a.m. CDT with general on sale opening at 10 a.m. CDT on Friday, April 5. A fourth consecutive sell-out is anticipated, so fans are encouraged to purchase their tickets early. Prices start at $35 for General Admission and go up to $100 for VIP table options. Tickets will be available through the Wildhorse Saloon box office (615-902-8200 x1), WildhorseSaloon.com, and DariusRucker.com. 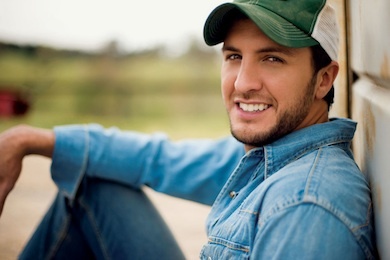 Luke Bryan will introduce his brand-new single “Crash My Party” on the upcoming ACM Awards show telecast. His debut performance of the never-before-heard song will be the first time that fans will get a taste of what’s to come on Bryan’s upcoming fourth studio album. “Crash My Party” will be available for purchase following the show that evening.In addition to co-hosting the ACM Awards for the first time, Luke also has four nominations– Entertainer Of The Year, Male Vocalist of the Year, Album of the Year for Tailgates & Tanlines, and Vocal Event of the Year for “The Only Way I Know” with Jason Aldean and Eric Church. Fans can continue to cast their votes once a day for Luke Bryan to be this year’s ACM Awards Entertainer Of The Year by visiting VoteACM.com.